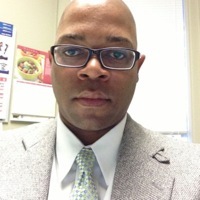 Treasury Services announced that Gerald Crutchfield has joined Webster University as director of Payroll effective Monday, Aug. 31. Crutchfield comes to Webster from Enterprise Holdings in Clayton, Missouri, where he served as payroll supervisor. He has over nine years of payroll and accounting experience. Please join Treasury Services in welcoming him to the Webster team. Alexis Boyer-Meyerman has been appointed data specialist in the Office of Academic Affairs’ (OAA) Decision Support and Data Analysis unit at the Webster Groves campus. The position of Academic Affairs data specialist, replacing a coordinator position, supports strategic academic and operational decision-making for the University and its campuses in the United States and abroad. The data specialist assists with managing processes, data, records, and reports for the Department of Academic Affairs. In this position, Boyer-Meyerman will be responsible for conducting enrollment reporting and trend analysis; insuring compliance with the requirements of various state, military, and governmental agencies; assisting with documenting and building training materials as well as conducting training to support these efforts. 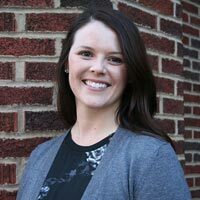 She originally joined Webster as an Admissions representative at the Geneva campus in January 2012 and later worked for Global Marketing and Communications in Webster Groves while completing a master’s degree in marketing communications at Webster. An experienced international education professional, Boyer-Meyerman earned a bachelors’ degree in political science at Queen’s University in Canada, worked at private institutions in China and Switzerland and is a doctoral student in education leadership at St. Louis University. The OAA Decision Support and Data Analysis team enhances the availability of data and analytical resources for use by academic units, academic support units, the network of international and domestic campuses and related administrative units. It provides and analyzes data for strategic planning and university-wide initiatives. Kimberly Mantia-Ochoa has been appointed coordinator in the Office of Study Abroad. This appointment is a result of new initiatives at Webster University to increase the number of study abroad students as part of the University’s strategic plan. Mantia-Ochoa joined Webster in 2008 and until her new appointment was serving as Study Abroad Advisor. She is an experienced international educator with a successful record of counseling, advising and mentoring. A creative thinker, problem solver and holder of exceptional interpersonal skills, Mantia-Ochoa will continue making significant contributions at Webster. Kimberly earned her BA in Communications with a minor in Spanish from University of Missouri – Columbia in May 2007. She is currently pursuing her master’s degree at Webster University. As an undergraduate student, she studied abroad for a semester at Universidad de Granada in southern Spain. Because of Mantia-Ochoa's new responsibilities, the Office of Study Abroad announces that the advisor position vacated by her will be posted soon. Candidates meeting the position requirements are asked to consider applying for the position. Erin Cornell has been named to the role of strategic initiatives coordinator for the College of Arts & Sciences. Shannon Hernandez has replaced Cornell as assistant to the dean and representative for the College of Arts & Sciences dean's office. Hernandez earned her Master of Arts in International Relations from Webster in 2005. Read more about Hernandez in this introductory Q&A at Global Thinking.